Just like a fashion designer needs a good fabric store, web designers need a solid selection of high quality patterns and textures. You can try making your own designs or scouring the web for hi-res Public Domain pics, or you can choose from the 400+ professionally designed patterns at SubtlePatterns.com. This site’s extensive selection of pristine (and of course, subtle) patterns is a practical and accessible resource for any designer. Every pattern or texture is free to use for personal and commercial projects, so long as subtlepatterns.com is credited somehow in the final product. Searching for patterns or textures is simple, but you may want to narrow your search to subject matter instead of color. The patterns are the focus of this site, so most images are some shade of black or white. However, once you find a design you like it is easy to customize the colors in Photoshop. 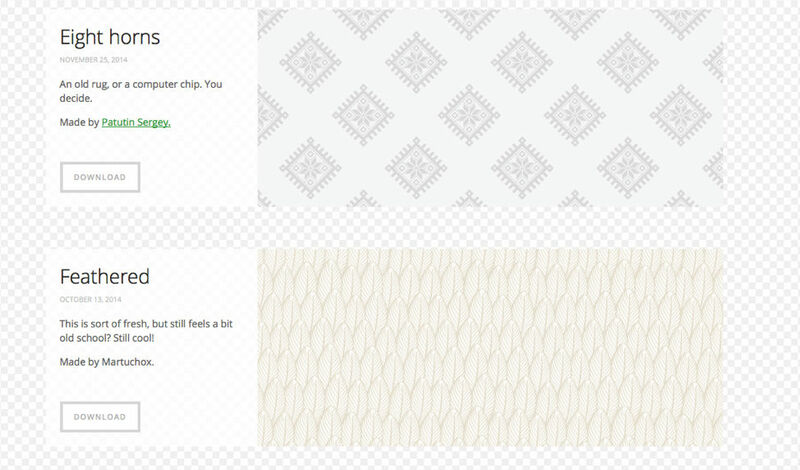 To get an idea of what a pattern or texture will look like “on the big screen” you can preview it as the background of the Subtle Patterns site. If you want the full Subtle Patterns selection at your immediate disposal, you can download the Subtle Patterns Photoshop Plugin for $11.99. 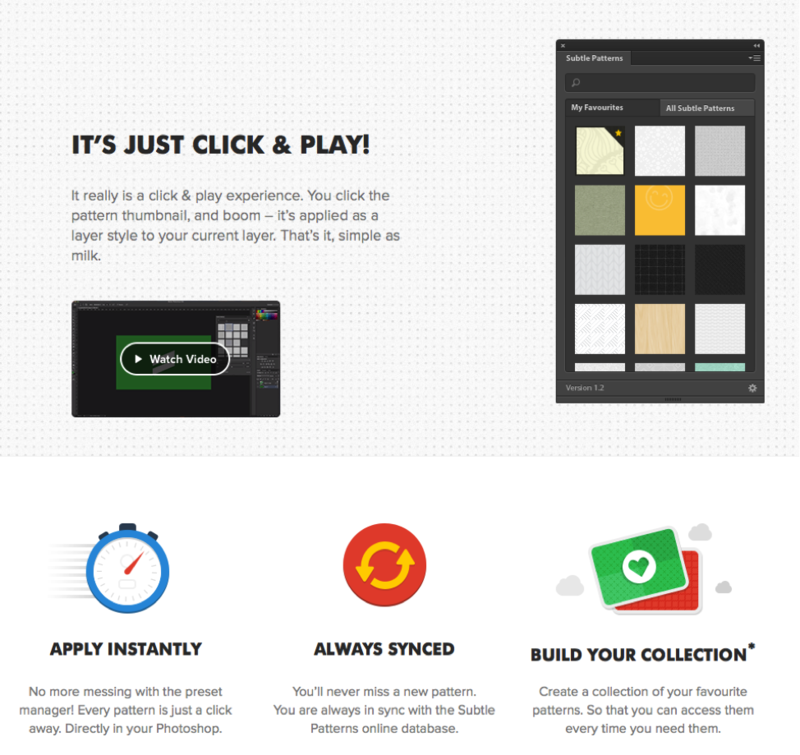 This imports the entire Subtle Patterns library directly into a Photoshop panel. It will automatically download all existing patterns and sync to Subtle Patterns’ online database, continually updating as new patterns come in. 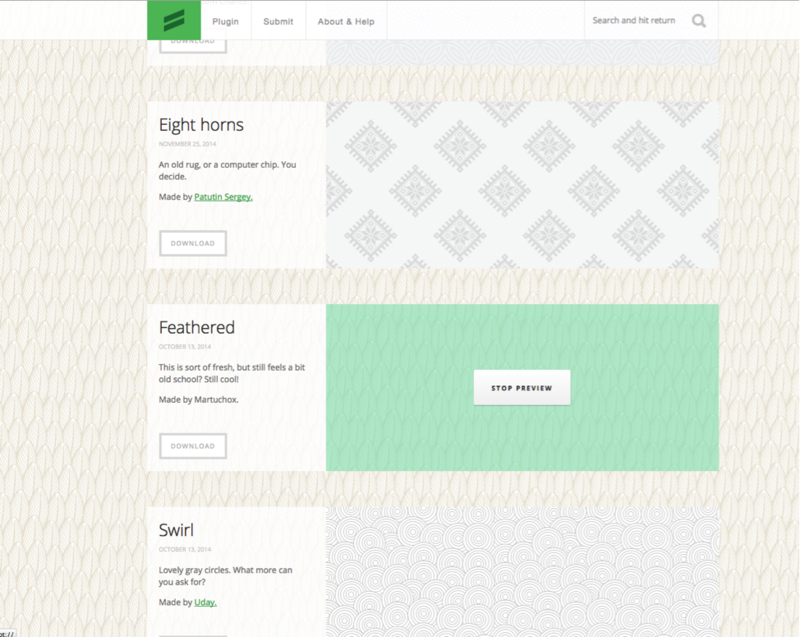 The plugin also lets you catalog some of your favorite patterns for future use. With this arsenal of simple swatches you can easily add an element of professional design to your next website, graphic, presentation, or pamphlet.